EGL Platinum offers Gem Identification reports for gem materials, mounted jewelry and ornaments. The identification tests, based on the chemical and physical properties of the mineral, are performed by E.G.L. Platinum experienced gemologists. 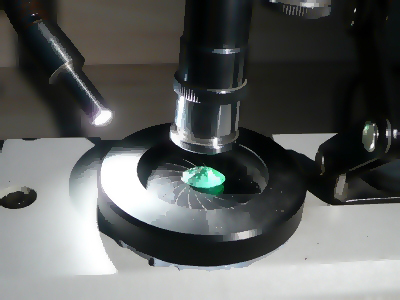 The process includes the use of traditional and highly advanced gemological instruments, supported by magnified observation. 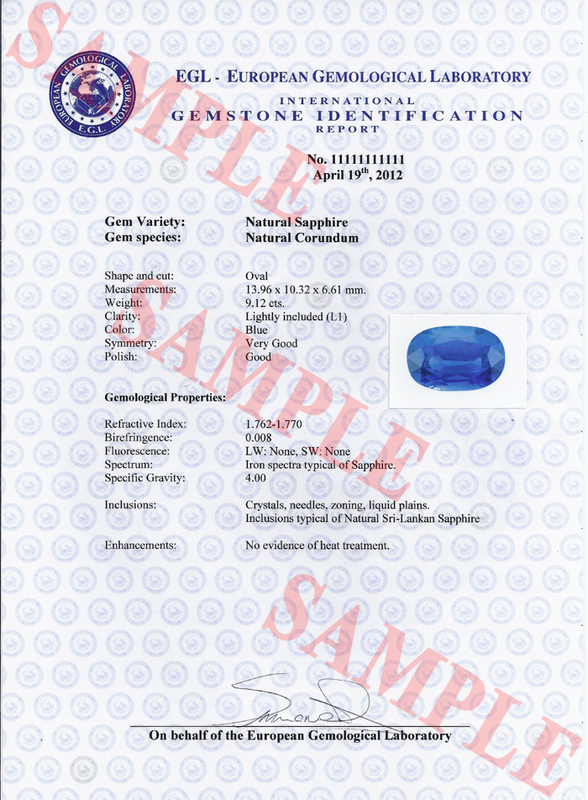 The identification results include the gem type (variety and species/series), descriptive properties (color, shape and cutting style, measurements and carat weight), enhancements which the gem was subject to and an opinion regarding the country of origin (for ruby, sapphire, emerald and tourmaline paraiba only, if applicable). 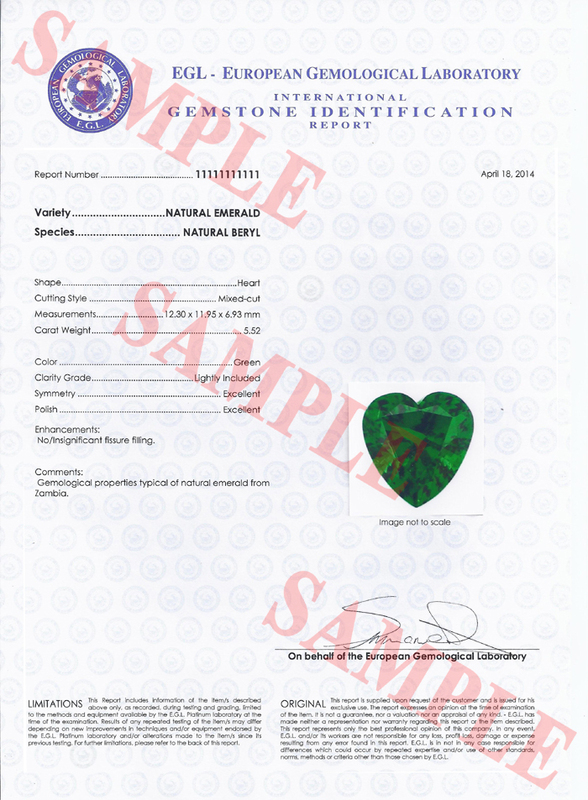 In order to avoid any misrepresentation or misunderstanding regarding the gem’s origin, EGL Platinum Gem Identification certificates are issued for natural gems only. 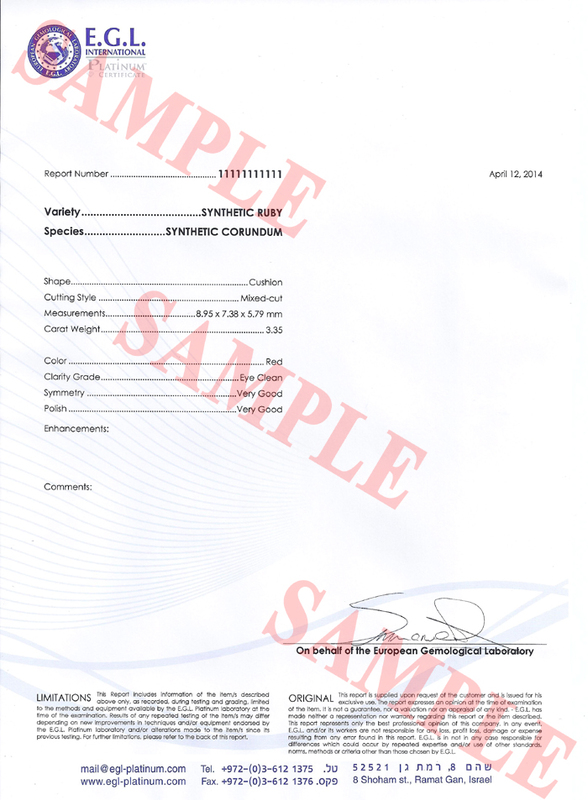 The certificates include a digital image of the gem. For materials identified as synthetics (laboratory grown) or man-made (such as glass), a text report carrying the E.G.L. Platinum logo is issued. These reports are issued without an image. Thus our customers are always assured that all the necessary gem information has been disclosed. E.G.L. Platinum Gem Identification reports do not include the laboratory’s gemological results. A full analytical report including the entire recorded data gathered from the identification process is available for an additional fee. To learn more about ordering E.G.L. 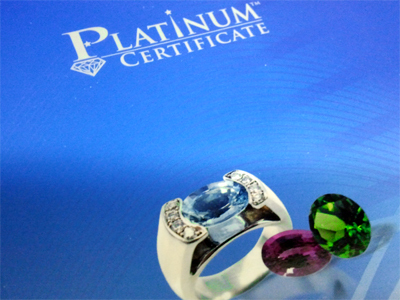 Platinum Gem identification certificates, please contact us. Already have an E.G.L. Platinum certificate? To verify it, click here.